In business, it’s inevitable that you will miss a phone call from time to time. You simply can’t be expected to juggle phone calls, emails, and meetings without missing a beat or two. What many people don’t realize is that the true cost of missing a phone call can carry serious repercussions for your business. Just one missed call can mean a loss of thousands of dollars in sales. If prospective customers fail to get a hold of you when they need to, they’re simply going to take their questions, comments, and money straight to your competitor. Missed phone calls, whether accidental or purposely unanswered, can severely damage your business’s reputation. When a customer reaches your voicemail, they subliminally interpret your response to mean that their call is not important to you. If their call goes unanswered the first time, chances are slim-to-none that they will ever call a second time. When was the last time you left a voicemail for a company you’ve never worked with or spoken with before? Probably never. So, what can you do? The answer is simple: Hire and answering service. 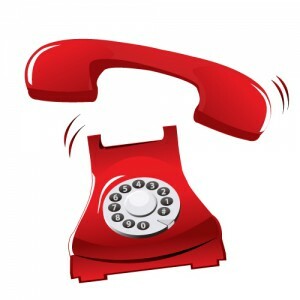 Telephone answering services can answer every call your business receives and forward your messages to you with ease. This ensures that your company won’t miss a call, or a business opportunity, again! Furthermore, make sure that the answering service you hire can give you 24/7 coverage so that calls of the utmost urgency can be handled and forwarded at any time. This around-the-clock service means your calls can be answered during off-hours, weekends, and holidays, giving you a break an your company an excellent leg-up on the competition. Hiring an after hours call center or answering service for your company is extremely effective in building your reputation and boosting your sales. Guaranteeing that your phone will always be answered takes the stress off of yourself to answer them. Call Customer Elation today for an after hours answering service quote.